354 On Fifth offers a mix of apartments designed to encourage people of all ages to experience the benefits of low maintenance, apartment living. 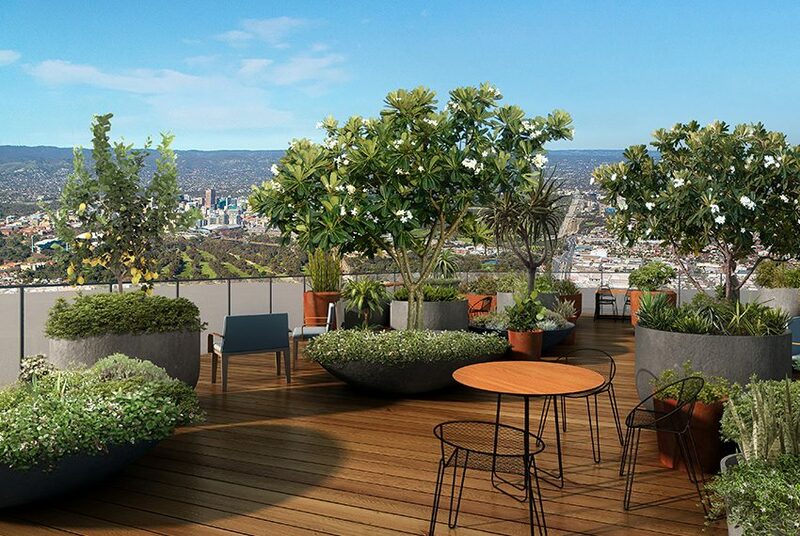 Enjoy a sense of community within Bowden’s first integrated precinct featuring exclusive rooftops and a secluded garden for residents. Superbly located on the edge of North Adelaide and Adelaide’s parklands, 354 Bowden offers access to walking trails, great schools, excellent public transport and numerous parks and green spaces to enjoy. The streets and open spaces are alive with street art and furniture complemented with community gardens.